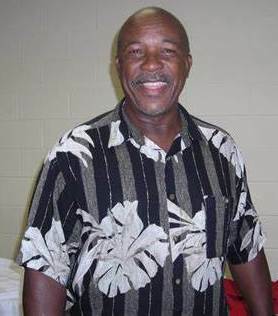 Leroy Bobby Stanton was born on April 10, 1946 in Latta, South Carolina. The six foot outfielder was signed by the New York Mets as an amateur free agent in 1965. Stanton spent two years serving in military service during Vietnam. 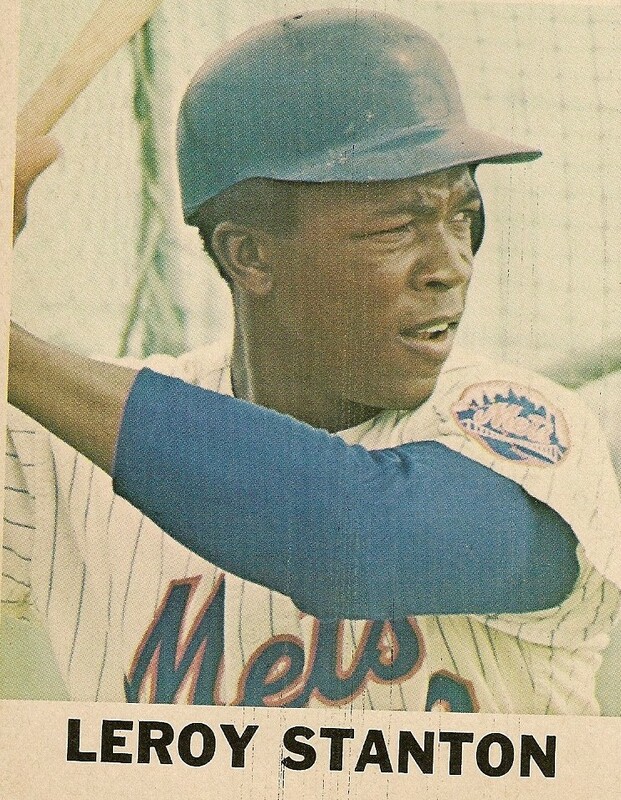 He then spent five seasons in the Mets farm system where he earned a reputation as a speedy outfielder. He hit ten triples each season at the A ball & AA ball levels. 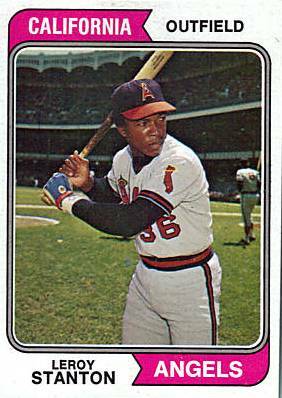 In 1970 he had a huge year at AAA Tidewater batting .303 with 19 HRs, while leading the club with 94 RBIs &15 stolen bases. 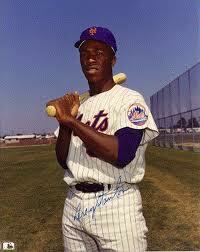 That September he got a call up & made his MLB debut in a 3-2 win over the Philadelphia Phillies at Shea Stadium. He went hitless that day & got five pinch hit opportunities on the season (1-5). He got his first career hit in his last appearance of the 1970 season, in a 6-3 win against the Chicago Cubs, also at Shea Stadium. In 1971 he hit .324 with 23 HRs & 101 RBIs at Tidewater, showing a lot of promise to be a future outfielder for the Mets in the seventies. He got another September cup of coffee, enjoying his best day on September 23rd, going 2-4, starting in right field against the Chicago Cubs, at Wrigley Field. In the 5th inning he doubled off veteran; Juan Pizzaro driving in Tim Foli & pitcher Nolan Ryan. He helped Ryan to a 5-4 win, the last victory in his Mets career. It was also Ryan's tenth victory of the 1970 season. Overall Stanton went 5-25 with a double & a triple in nine games as a New York Met over two seasons. Stanton appears on the Topps 1972 Mets Rookies card with pitchers Jon Matlack & Buzz Capra. In the 1971 off season, the Mets traded Stanton along with Don Rose & Frank Estrada in the Nolan Ryan deal for Jim Fregosi. Looking back at this time period in Mets history, the Mets had outfielders Ken Singleton & Amos Otis along with Stanton, who all went on to All Star careers. All were traded away in bad deals. 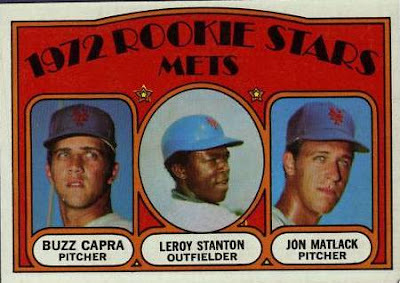 These players along with Cleon Jones & Rusty Staub (acquired in 1972) could have made up a very crowded, but talented outfield for a powerful Mets line up through the seventies. Stanton went on to play four seasons behind Nolan Ryan as an outfielder for the California Angels. In 1972 he became a regular outfielder right away, playing in 127 games batting .251 with 12 HRs & 39 RBIs. In 1973 he tied a club record by hitting three HRs in a game against that years A.L. East Champion Baltimore Orioles. His average fell to .235 with 8 HRs 34 RBIs & a poor .300 on base %. Stanton never turned out as good as Otis or Singleton, but did play nine seasons in the majors. He struck out ofter, with three seasons over 100 K's. In 1975 he stole 18 bases for the Angels batting .261 and recording over twenty doubles for the second straight season. In right field his .983 fielding % was third best in the A.L. in 1972. He led the AL in assists (16) in 1975 but also committed ten errors (third most in the AL). 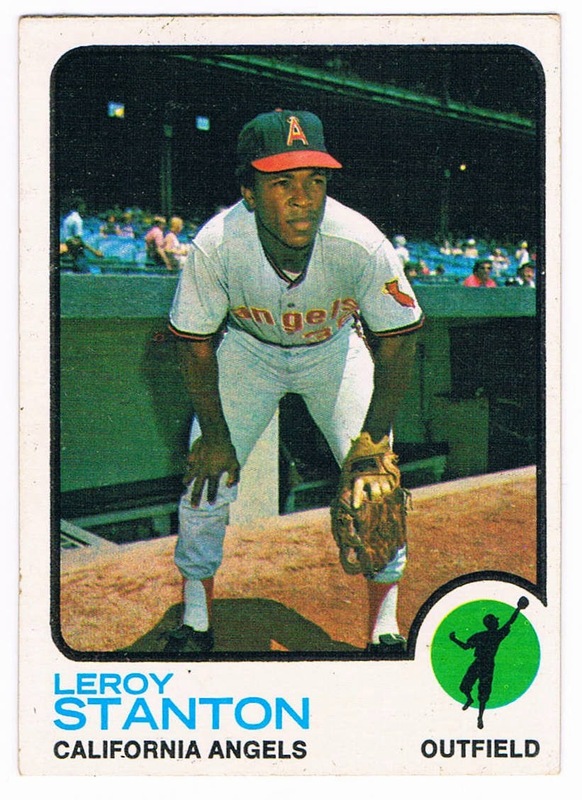 In 1976 he was drafted away by the Seattle Mariners in that year's expansion draft. In the Mariners inaugural season he had his best year, leading the club with 27 HRs, & tying Danny Meyer with 90 RBIs while batting .275. The next year his average plummeted to just .198 & he ended up finishing his MLB playing career. In a nine year MLB career he hit .244 with 628 hits 77 HRs, 114 doubles, 13 triples, 36 stolen bases, a .311 on base % & 358 RB Is. In the outfield he posted a .972 fielding percentage, with 49 assists playing in 829 games. In 1979 he played one season in Japan for the Hanshin Tigers. Retirement: After baseball he purchased his first truck to pursue a love for truck driving. He was owner / operator of Stanton Trucking, for twenty years retiring in 2015. Passing: In March of 2019 Stanton, was killed in a car accident in South Carolina, getting ejected from his pick up truck, while not wearing a seat belt. He was 72 years old.